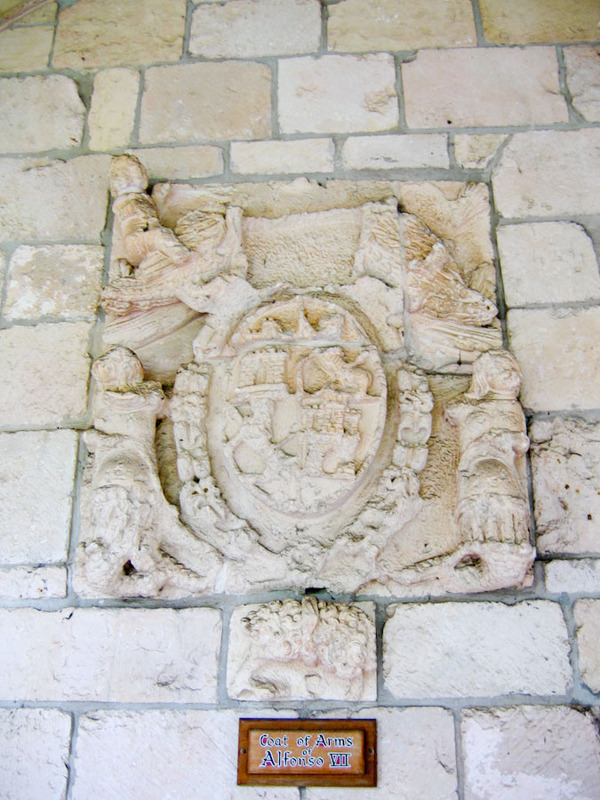 Description: The coat of arms of Alfonso VII chiseled into a wall of the Ancient Spanish Monastery. The picture of the lions and castles represent Castile and Leon a region in Spain. Alfonso VII was the king of Spain from 1135-1137. It is said that he introduced the cistercians to Spain and the rest of Hispania and ordered the construction of this ancient spanish monastery because of his defeat over the moors. TIFF File: A high resolution TIFF of Alfonso VII Coat of Arms (27.7 Mb) is available for download. This is a very large file suitable for printing. For most on-screen purposes, you should use the image displayed on this page instead of this TIFF.